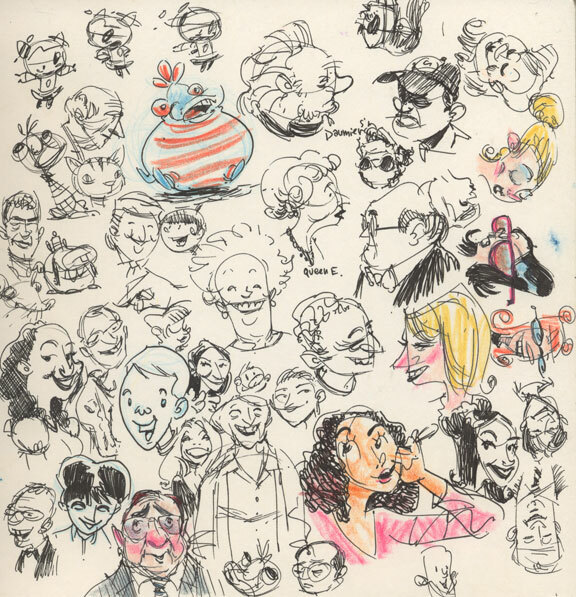 Here’s a random page from one of my sketchbooks. There’s some Jeffs, Ellies, and Muffins in there, plus a couple of David Lettermans and a Queen! Enjoy! Thanks alecho, I’ll post some more sometime in the future.